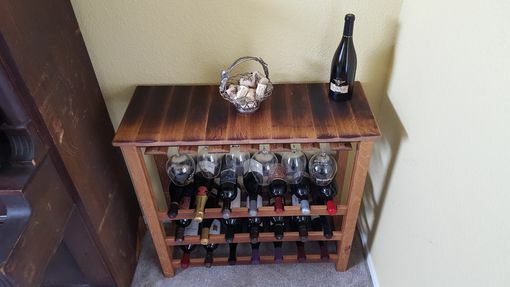 It measure 34"L by 33"H by 13.5"W and is designed to sit on the floor. 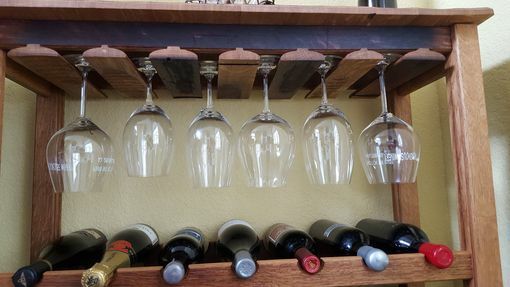 Its unique design makes it as much a piece of art as a wine rack. 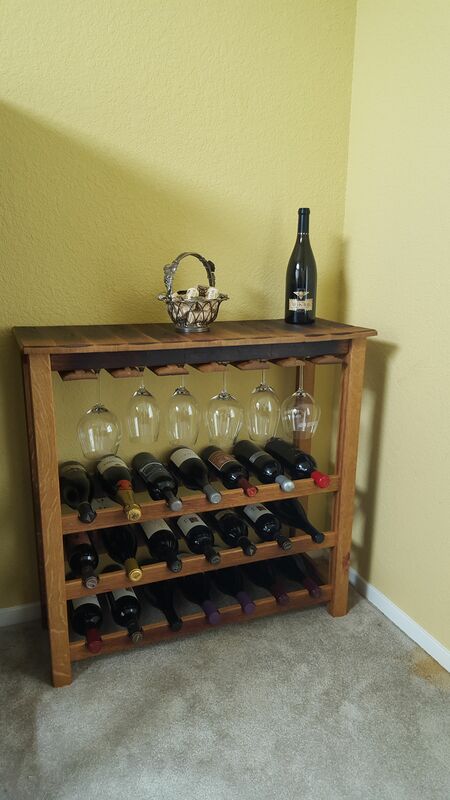 It accommodates 21 bottles in most sizes and shapes. 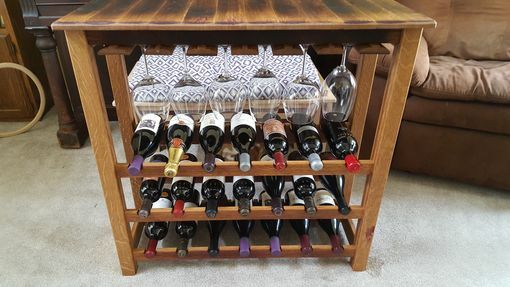 It also holds 18 wine glasses, and accommodates most glasses This wine rack is made made in the Napa Valley entirely from oak wine barrels retired from premium wineries in the Napa Valley. It is hand made by a 20+ yr veteran woodworker using premium joinery.